Last minute Vintage Christmas tags! 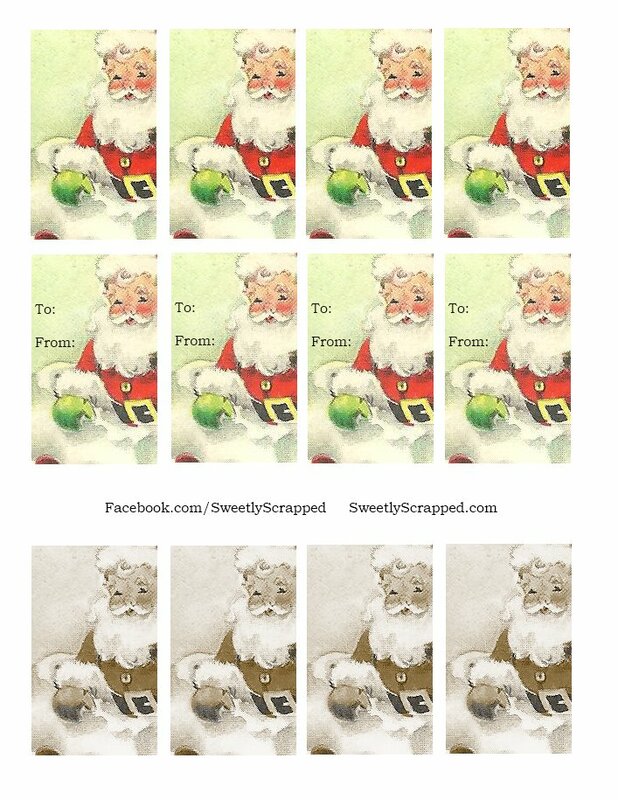 I posted this Santa card on my Facebook page and Emily from Sweetly Scrapped Art made the image into tags for presents. I “saved as” to my computer and printed them onto creme colored cardstock and cut them up and used on my gifts they are so cute! Thank you Emily I love them! The Holidays Are Here Again…. Pam on Last minute Vintage Christmas tags! Jody Lynn on …Merry Christmas Everyone! Tamour Allen on The Hustle & Bustle Of It All! Julie Shelander on The Hustle & Bustle Of It All! Deana using the cricut for her first time!